Do you have some interesting wildlife related news? March 3, 2014 edition Whither the Hunter/Conservationist? 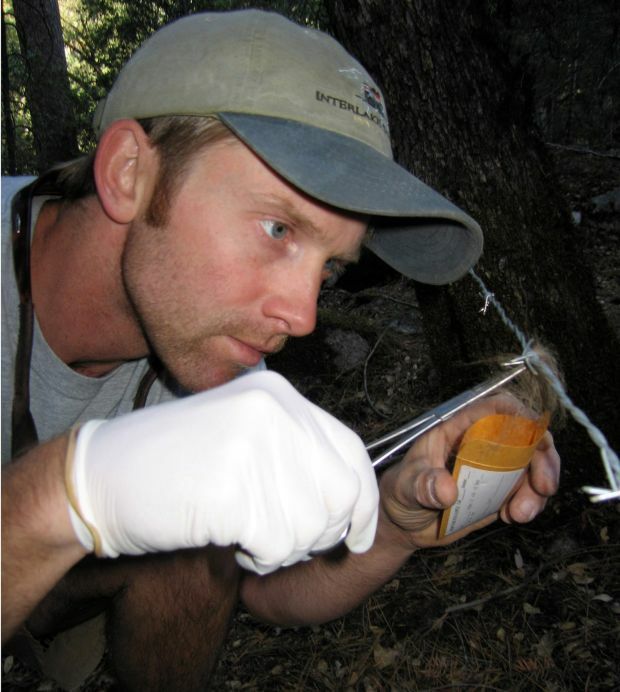 Jack Hopkins collects a sample of black bear hair in Yosemite National Park. Black bears in Yosemite National Park and elsewhere are notorious for seeking out human food, even breaking into cars and cabins for it. Now a new study conducted by a former Montana State University graduate student reveals just how much human food has contributed to the diets of Yosemite bears over the past century. 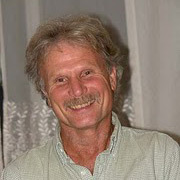 Jack Hopkins and his collaborators estimated the proportion of human-derived food in bears’ diets by analyzing chemical isotopes in hair and bone samples. The results, published in the March issue of Frontiers in Ecology and the Environment, show how bears’ diets have changed over the years as the National Park Service took different approaches to managing bears and people in Yosemite. “Yosemite has a rich history of bear management practices as a result of shifting goals over the years. What we found was that the diets of bears changed dramatically after 1999, when the park got funding to implement a proactive management strategy to keep human food off the landscape,” said Hopkins, who earned his Ph.D. in fish and wildlife biology from MSU in 2011. Hopkins is now a research fellow at the University of California, Santa Cruz. He also has postdoctoral fellowships with Peking University in Beijing, China, and the University of Alberta in Edmonton, Canada. That park funding was used primarily to buy bear-resistant food storage containers and increase enforcement of their use, hire more staff to manage problem bears, and establish a “bear team” to increase visitor compliance with rules for storing food in areas such as campgrounds and hotels, Hopkins said. The study, which focused on bears that had learned to eat human food or food waste, found that the proportion of human foods in their diets decreased by about 63 percent after the new strategies were implemented. Unfortunately, according to Hopkins, once a bear gets used to eating human food, it will continue looking for it. And even when visitor compliance is high, a few people will also make the mistake of leaving their food where bears can get it. Contemporary hair samples were collected during bear management actions and from barbed-wire hair snares deployed throughout Yosemite. Historical samples were obtained from museum collections. Yosemite National Park was established in 1890, and Hopkins obtained samples from bears killed between 1915 and 1919 to represent the earliest time period. In those early years, bears were attracted to garbage dumps in the park and were often killed when they became a nuisance. Visitors liked to see bears, however, and in 1923 the park began intentionally feeding bears where visitors could watch them. The last artificial feeding area closed in 1971. There was also a fish hatchery in Yosemite Valley, from 1927 to 1956, where bears once helped themselves to fresh trout from the holding tanks. But closing the hatchery and the feeding areas didn’t stop bears from eating human food. “The bears just went back to the campgrounds and hotels and continued to find human food,” Hopkins said. The average figures for the proportion of human food in bear diets during the four time periods in the study were 13 percent for the period from 1915 to 1919; 27 percent for 1928 to 1939; 35 percent for 1975 to 1985; and 13 percent again for 2001 to 2007. These results are based on a kind of chemical forensics in which Koch’s lab specializes. Isotopic analysis of an animal’s tissues can yield clues to its diet because of natural variability in the abundance of rare isotopes of elements such as carbon and nitrogen. Isotope ratios (the ratio of carbon-13 to carbon-12, for example) are different in human foods than in the wild plants and animals that black bears naturally eat in Yosemite, partly due to the large amounts of meat and corn-based foods in our diets. In order to analyze the data from Yosemite bears that ate a mixture of human and natural foods, Hopkins had to get samples from bears that did not eat any human food, and he had to track down samples of the non-native trout that had been raised in the hatchery. He also needed data representing a 100 percent human food diet, for which he turned to the Smithsonian Institution for samples of human hair from different periods over the past century. “He searched far and wide to get the collection of samples we analyzed, and that collection made the study powerful enough to answer the question of how management practices affect bear diets,” Koch said. According to Hopkins, the key to managing bear problems is to prevent bears from becoming conditioned to eat human food in the first place. He has done other studies using genetic analysis to show that the offspring of bears that eat human food end up having the same foraging behaviors as their mothers. And when problem bears are relocated away from human food sources, they eventually return and continue seeking human food until they are killed, often by management staff. “People like to see bears, and they don’t like to hear about bears being killed. But the bears they often see in visitor-use areas like Yosemite Valley are the ones that are conditioned to eat human food, and those are the ones that become problems and have to be killed,” Hopkins said. Kalinowski said “Managing people and bears in Yosemite is incredibly difficult. Each year, millions of people visit Yosemite and many have no idea how to store their food when camping among bears. All it takes is one person out of a hundred to leave food in a car or outside of a tent, and the local bears will find it. Hopkins, who worked as a biologist in Yosemite National Park for several years, conducted the study as an MSU graduate student.